Hey there, my name is Jess or Jessie, but never Jessica. Like I tell my patients I feel like I'm in trouble when called by my full first name. I have been a licensed massage therapist with Dr. Negri for over 7 years, and massaging for over 10 years. I absolutely enjoy what i do, and am delighted to help others in a therapeutic way. When I am not working you can usually find me at home taking care of my family and fur children, kayaking on my lake, eating lots of junk food, or watching shark week. "Dogs Dexter Morgan Left Nugs on right"
Hi I am Rose and reside in Sussex County. I have 2 beautiful children one that recently went off to college. 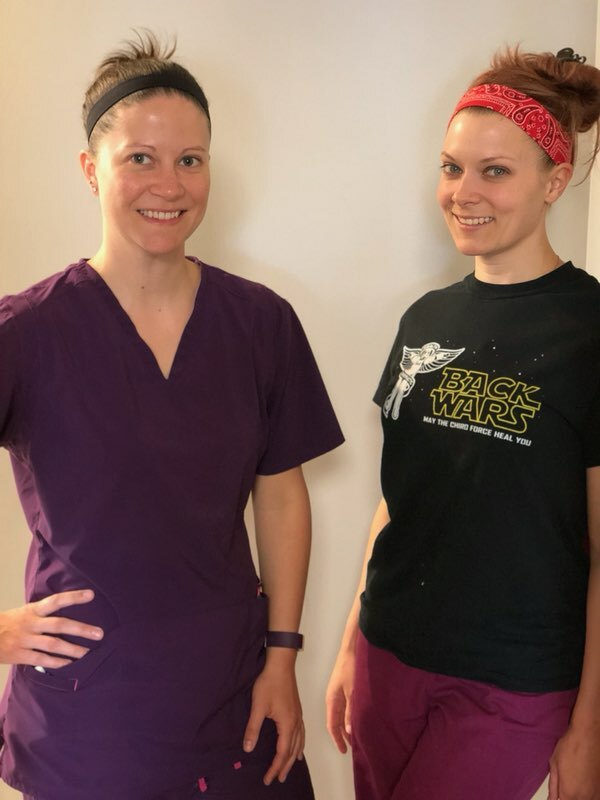 The girls I work with here at Lafayette Hilltop Chiropractic have helped me get through my " empty nest syndrome" I have been doing massage for many years and about one year ago had the privilege of meeting Dr Negri. I interviewed and here I am working at Lafayette Hilltop Chiropractic helping people get better. I have been told I have a gift when it comes to massage and helping people with many different conditions Come visit and I will be happy to help. I am Kathryn. I graduated from massage school many moons ago and am certified in various modalities of body work. I currently hold licenses for massage therapy in NJ and PA. When not sharing time with Dr. Mary and the wonderful women in the office, I enjoy outdoor activities and planting seeds of hope and prosperity along with veggies and flowers. I consider myself a forever student and am enjoying a journey of humility and peace while trying to become the best version of myself by following my dreams and desires. I look forward to working with you.